Agarwal Real Packers & Movers can help you shift in and out of Ballygunge. You can choose us as your preferred packers and movers Ballygunge. We can assist in local relocation for both homes and offices. Our trucks have national permit which means we can help you relocate to any part of India. If you are planning on transporting your vehicle then we are the right choice as we have special containers made specifically to transport cars. You can also avail our services as movers and packers Ballygunge to send parcels abroad to USA. Agarwal movers and packers Ballygunge understands that your articles and goods are precious to you. We give special importance to articles which you may believe to be fragile. As packers and movers in Ballygunge area, we are among the few to be using export quality packaging materials. The boxes which we use are special grade and are made to withstand heavy stress. You can be sure of next to zero damage with Agarwal packers and movers Ballygunge. Further, unlike other movers and packers in Ballygunge, we train our staff at least twice a year. They are at par with International movers and packers standards. We also train all employees to be courteous and polite to all clients, a feat which is missing in this industry. Apart from being honest and reliable, we at Agarwal Real Packers & Movers always strive to provide exceptional service to you. 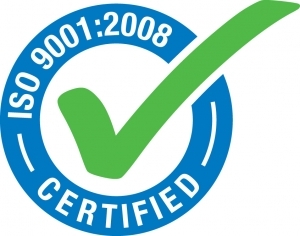 We are also ISO certified and fully insured. With us you never have to worry about relocation as we take the stress away from shifting. We have been in business since 1989 and have helped many thousands of people just like yourself shift easily and smoothly. Give us a call on our dedicated customer care landline and see the difference in your relocating experience.